BSAs NOVA Awards program incorporates learning with cool activities and exposure to STEM (science, technology, engineering, and mathematics). The hope is that the requirements and activities for earning these awards stimulates interest in STEM-related fields and shows Scouts how STEM principles apply to everyday living and the world around them. Counselors and mentors help bring this engaging, contemporary, and fun program to life for youth members. 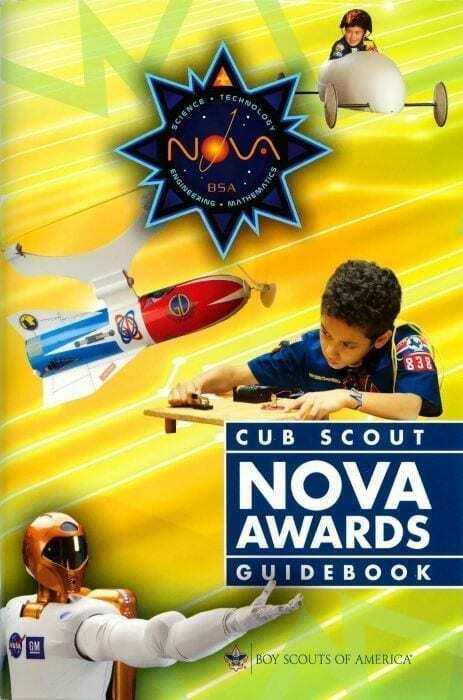 This guidebook contains requirements and information to help Cub Scouts master achievements within the NOVA program and includes a section for counselors as well. Each Cub Scout NOVA award covers one component of STEM. Awards include Science Everywhere, Tech Talk, Swing!, and 1-2-3 Go! For their first NOVA award, Scouts earn the distinctive NOVA award patch. After that, a Scout can earn three more NOVA awards, each one recognized with a separate pin-on device that attaches to the patch. The patch and the three devices represent each of the four STEM topicsscience, technology, engineering, and mathematics. Soft cover.